I signed up at the very last minute to do another craft show this weekend. I got sort of burned out after doing a few in a row, but then didn’t schedule my summer very well because I only have one more for the entire month of July. A nice change of pace, to be sure, but not what one would call fiscally responsible. So me & my wares will be at the Made Here Market this Sunday. 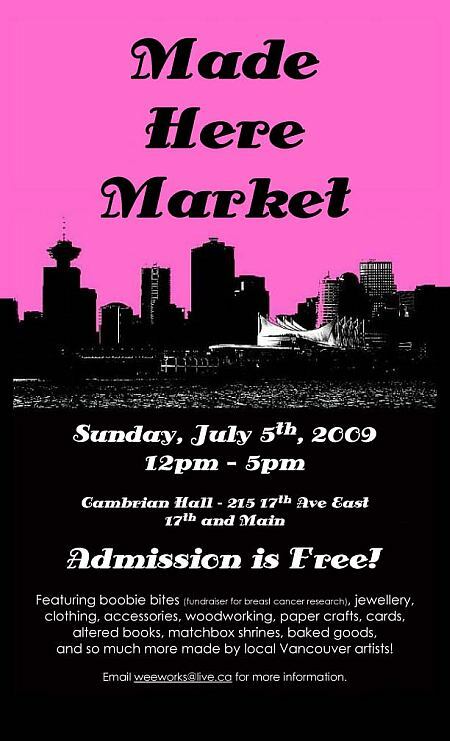 If you’re a Vancouver local, please stop by & say hello! 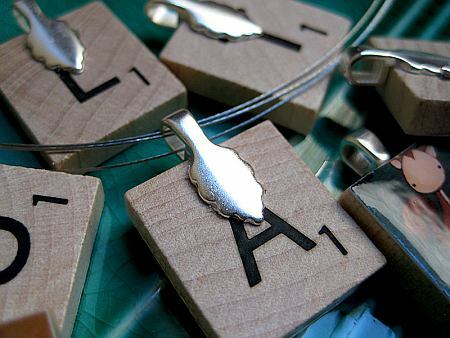 As I get prepped for the market, I’m up to my elbows in scrabble tile necklaces, magnets, prints & card packs. Phew! It’s a good thing I decided to do the show because I had no clue how low on stock I was getting. I should probably start a heavy crafting schedule just to stock up for all the winter shows that creep up all too quickly. I’m a big fan of your work. I’ve been following you on Twitter for some time, and just yesterday gave you some #followfriday love. Today I find out you’re a fish too as I’m getting caught up with assignments, audio and taking some time to visit fish and their blogs. Nice to meet you! I enjoyed your blog. Your writing style is just as lovely as your paintings. Happy 4th!